When the transpoting chain moves along the rail, it will becomes loose after long usage. This device can adjust the chain tension, adotps automatic tensioning degree adjustment of the transporting chain. ZBHT Slaughtering Machinery Co.,Ltd. manufacturing high-quality Transport chain tension device and supply OEM, ODM service according to your personal requirement. 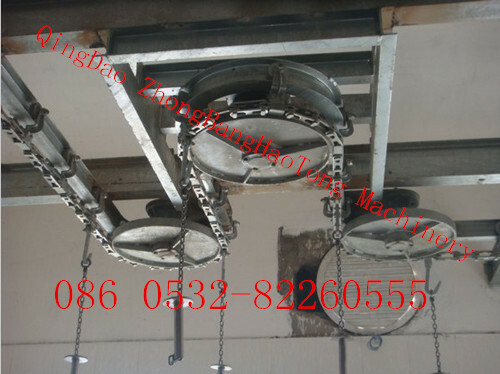 Our Transport chain tension device and other Pig Slaughtering Equipment is not only good in quality but also competitive in price, welcome to inquiry us about the details of Transport chain tension device or other slaughtering machine products and accessory equipment.